Organised by the Alliance Française and the Embassy of France in Malaysia with the support of the Ministry of Tourism and Culture Malaysia, the annual French Art & Film Festival (FAFF) is back for the 14th consecutive year and is all set to entertain audiences in Klang Valley and Penang with a whole new programme and lineup of French film screenings, live dance and music performances by visiting French artists, photography as well as gastronomy (food and champagne!). Like in previous years, the films will be shown at select GSC cinemas (Pavilion, Mid Valley, 1 Utama, Gurney Plaza), FAFF’s long time partner. There will be a total of 15 titles this year consisting of comedies, dramas, animations and animal documentaries. The highlights, to me, are definitely 2 Autumns, 3 Winters (2 Automanes, 3 Hivers) – a critically well received indie romance comedy that was selected in multiple film festivals, The Finishers (De Toutes Nos Forces) – a comedy drama about a former athlete who invites his 17-year-old handicapped son to compete in the Iron Man triathlon with him, and Michael Kohlhaas (Age of Uprising) – a historical revenge drama starring award-winning Danish actor Mads Mikkelsen (The Hunt, Hannibal TV series). The 2013 comedy, Serial (bad) Weddings (Qu’est-ce qu’on a fait au Bon Dieu? ), was screened at the press conference held last week at GSC Signature. Although it has quite an uneven narratives and a rushed final act of cliches, the film is quite hilarious if you don’t mind racist, stereotypical jokes. The beautiful lady in the still image on top (that got you clicking into this post) is actress Léa Seydoux as the character Belle in the 2014 native movie adaptation of Beauty and the Beast (La Belle et La Bete), which won Best Production Design in the recent 2015 Cesar Awards. The film festival will begin in Klang Valley from 14 to 31 May and in Penang from 4 to 14 June. Tickets can be purchased from GSC’s website, app or respective box office. You can find out more about all the films and the screening schedule at FAFF’s official website. 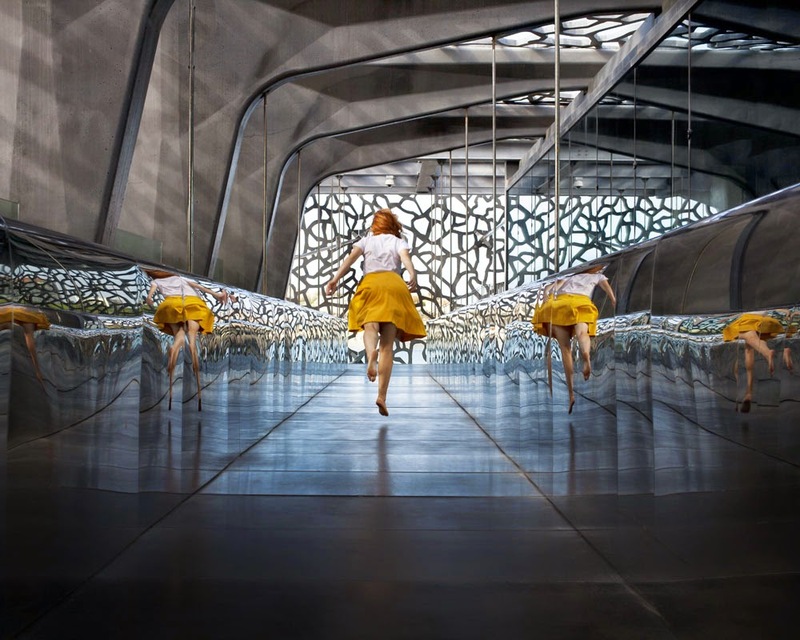 Featuring a series of 25 works on display, young photographer Maia Flore has created a form of visual poetry by renewing the view of various heritage sites photographed during a 66-day tour of France between July and September 2013. Some of the locations include well-known French sites such as Château de Versailles, Palais des Papes (Papal Palace) in Avignon, Pont du Gard (Gard Bridge) next to Nîmes, the Conciergerie in Paris, the Museum of Mediterranean Civilisations in Marseilles, Carcassonne City and many more. Describing her approach as ‘seeking coincidences between her imagination and what is real’, this particular exhibition was brought to life by Institut Français and the French tourism development agency Atout France, and in partnership with the VU’ Agency. As a young actor, director and spectator, Flore’s work has been presented in the Instituts Français of Italy in the Spring of 2014, as well as in Rome and Naples; and has been exhibited at the Somerset House in London for the Sony World Photo Awards. Hosted by festival partner cognac house Martell, come and learn from a professional on how to pair cognac and champagne with Malaysian cuisine. Join the celebration of Martell’s third centennial anniversary while also discovering facts about the history of these favourite beverages. Enjoy delicious food and drink as you meet friends, old and new, over a few glasses. Tickets will be priced at RM70 per person and guests are advised to register and pre-pay by emailing in to info@faff.com.my. – Friday night, 29 May 2015, 11pm at Pisco Bar on Jalan Mesui, off Jalan Nagasari, Bukit Bintang KL. Combining music and video comes an out-of-the-box experience for party goers and music lovers. Fusing the art of DJing with video, “DVJ” Oof has been a pioneer of this new art form in France that presents a fresh take on a wholesome experience for the senses. This multimedia DJ will be playing the music of famous French soundtracks from the 60s against the backdrop of nostalgic imagery in the form of classical French movies and actors that appear on a screen. RM20 entrance fees to be paid at venue. – Wednesday, 3 June 2015, 8.30pm at MaTiC (Malaysian Tourism Centre) on Jalan Ampang, KL. As one of the most exciting choreographers in Europe, Pierre Rigal has performed with his dance company at some of the most acclaimed venues in the world including London’s Breakin’ Convention at Sadler’s Wells, The Gate Theatre, Baryshnikov Arts Centre in New York and Sydney Opera House. 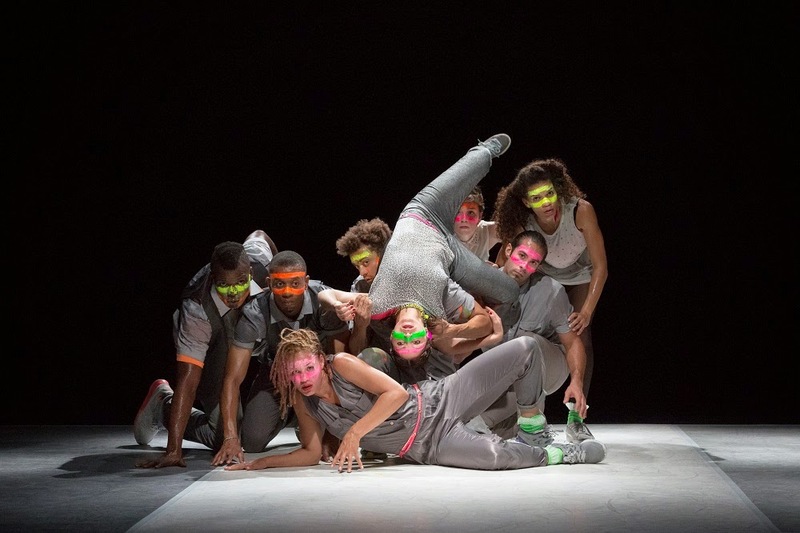 Performing on a stage bathed in the red, white and blue of the French flag, this dance troupe of 8 krump, lock-pop and break dancers will explore the many meanings of individuality and identity. Tickets to the performance will be priced at RM53 and will be available for purchase via TicketPro (www.ticketpro.com.my). – Saturday night, 6 June 2015 at Laundry Bar, The Curve, Mutiara Damansara. Globe-trotting musical quartet Gran Kino, have been travelling the world for the past 5 years with their mission to break the medium of language through music. Offering an evolving sound often described as “world rock”, Gran Kino will present an invigorating show where electric and electronic sounds bump against spoken-word and readings of travel tales. – Tuesday, 16 June 2015, 8:30pm at the Dewan Filharmonik PETRONAS, KLCC. Praised by French and foreign press, Célimène Daudet is an accomplished pianist and winner of many international competitions. Among her many accolades include the International Competition Jean Francaix in Paris and the Pro-Musics International Prize. In 2013, she made her debuts at the Châtelet (Paris) and Carnegie Hall (New York). She also gives recitals and masterclasses all around the world. This recital will see Daudet entertain with a Debussy recital, followed by a Debussy piano solo. She will also present a Mozart concerto accompanied by the Malaysian Philharmonic Orchestra (MPO)’s chamber musicians. All tickets are priced at RM40 and can be purchased at the Box Office at 03-20517007 or dfp_boxoffice@petronas.com.my, or via the MPO website at mpo.com.my. 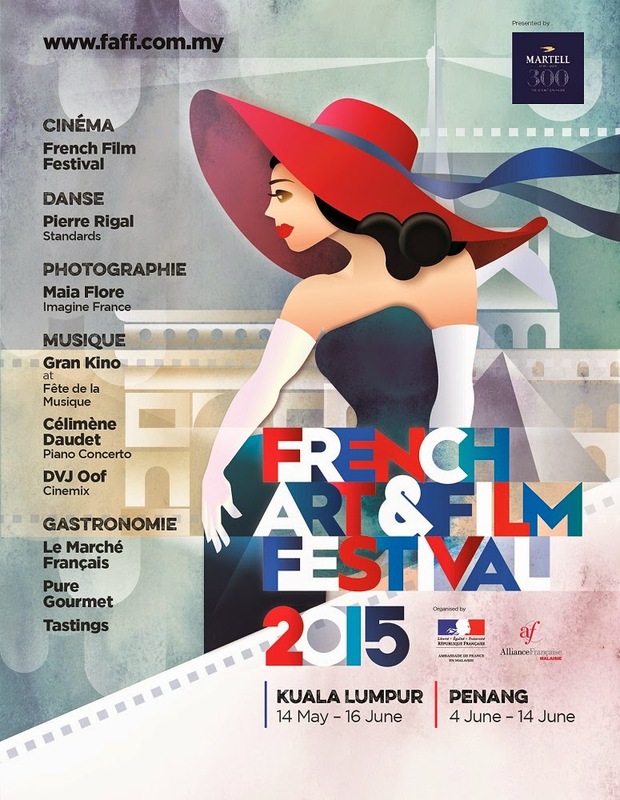 – Saturday, 13 June 2015, 4pm-9pm at Alliance Française de Kuala Lumpur on Lorong Gurney, KL. Co-organised by the CCIFM (Malaysian-French Chamber of Commerce and Industry), a French market will be held on the grounds of Alliance Française de Kuala Lumpur. Aiming to promote quality culinary specialties and lifestyle products, the market will offer delectable food and drink both for sampling as well as to take home including wine, coffee, baked goods and traditional French dishes. Also available will be lifestyle products which will include a garage sale by expatriates who will be putting up pre-loved goods for sale, and visitors can also expect to be entertained by a freestyle circus who will perform on the grounds. Gastronomical feasts with local restaurants will once again give food-lovers around the Klang Valley the opportunity to savour true French cuisine with Martell cognac pairings.